Revisiting TORCHWOOD: MIRACLE DAY | Warped Factor - Words in the Key of Geek. Chris Goodger takes a trip across the Atlantic to revisit the New World. When Torchwood began on BBC3 it took a while to find its feet. But every year it seemed to improve in quality and was rewarded with a promotion up the channels. By the time series 3 (Children Of Earth) aired as a 5 night event on BBC1, Torchwood was essential viewing and a bonefide hit. Torchwood: Children Of Earth was as equally amazing as devastating, it left me wondering just where they could take the series to after that. It turns out that America was where they were headed, and a co-production with the US cable channel Starz. 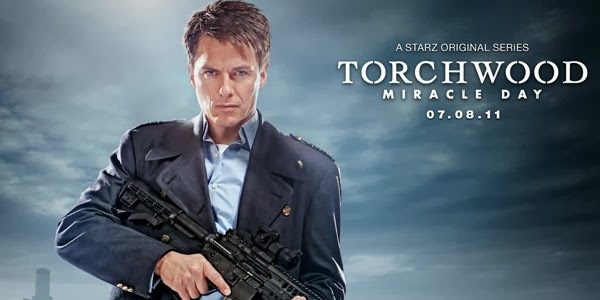 I didn't initially have a problem with the thought of a US produced Torchwood, as the show was constantly evolving and growing it kind of felt like a logical, exciting step. On paper Miracle Day should've worked. Russel T Davies was staying on board as executive producer and head writer, John Barrowman and Eve Myles returned to the roles of Captain Jack and Gwen Cooper, and the general plot idea was a strong one, what if nobody on Earth could die? Unfortunately it was just too bloated and full of filler. The whole story should've been told in maybe 5 episodes at most, but Starz felt otherwise. They initially wanted to stretch it to 13 episodes, with 10 being the compromise number. After the exciting paced opening episode Miracle Day slowly plodded along. Installments felt overly padded out, with pointless sub-plots introduced left, right and centre, seemingly juts to fill up the time. Episode 5, The Categories Of Life, should have had an amazingly shocking closing scene but that was lost thanks to the show dragging out the story to fit the time slot. It had been obvious to everyone watching that the buildings were incinerators for a good 30 minutes, long before the show's 'shocking' reveal. This was so far removed from Day 4 of Children Of Earth and the lead up to Ianto's death. I didn't see that coming until the last minute, and so the impact was heightened. Although Vera Juarez was no Ianto Jones, if handled better this moment could've been a real high point for Miracle Day. Another promising thread came in the form of Jack's backstory in 1920s New York. And whilst interesting and connected to the modern events, it took an entire episode to explain and ended up bringing the present day Miracle Day story to a halt. All the same, Immortal Sins was the kind of Torchwood episode I'd have loved to see more of. With an immortal man living through the whole of the 20th Century there has to be some amazing stories to tell, right? Maybe with the benefit of hindsight a 13 episode season featuring two, or more, different story arcs could've been the better option. I wonder if that was ever considered? Torchwood: Miracle Day was packed full of famous actors from classic sci-fi shows and movies, including Bill Pullman (Independence Day), Wayne Knight (Jurassic Park), Ernie Hudson (Ghostbusters), John DeLancie (Star Trek: TNG) and Nana Visitor (Star Trek: DS9). As great as it was to see them all in the Doctor Who universe the writers forgot to give enough screen time to the people the audience really wanted to see together, Captain Jack and Gwen Cooper. As Miracle Day reached its conclusion I was left feeling short changed. The resolution didn't make a lot of sense. Jack's immortal blood was injected in a 'blood line' that ran through the centre of the Earth, called The Blessing. It caused everyone to become immortal. That's fine, I'll go with that. But as to why Jack all of a sudden became mortal? Well that really makes no sense whatsoever. 'Bad Wolf' Rose bought Jack back from the dead and made him immortal, the Earth shouldn't have had any affect on that. 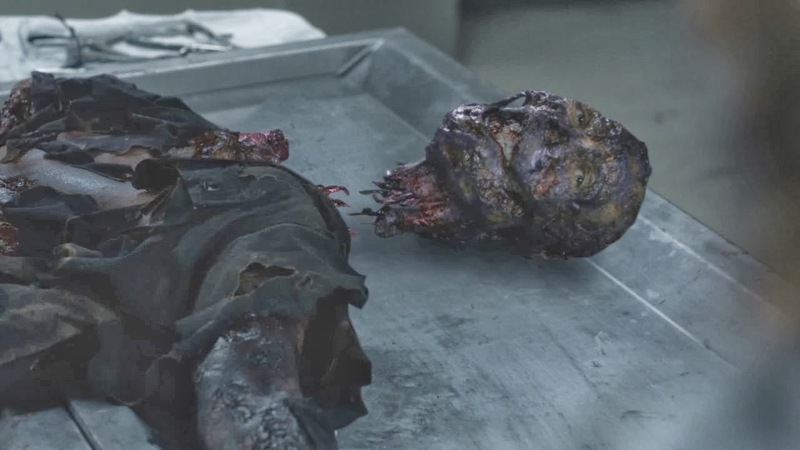 I'm sure the idea of making Jack mortal was only introduced because they needed a way to return things to normal at the end. 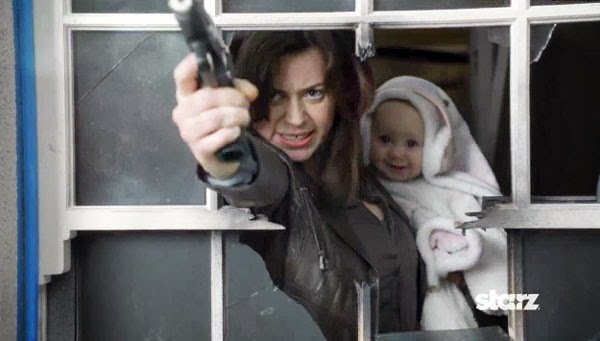 Not content with leaving things resolved, Torchwood: Miracle Day presented one of the dumbest cliff-hanger endings which will likely never ever get answered. In fact if we are ever lucky enough to get a fifth series of Torchwood then I hope they just pretend the whole immortal Rex Matheson business never happened! It took me a long time to go back and watch Miracle Day, but before I did I considered that maybe my judgement had been clouded thanks to the hype surrounding the show. Whilst in production the teases released, the geek star names cast, and the basic synopsis all had me expecting the TV highlight of the year. So I felt I needed to give it another go, free from that hype and see if I had been expecting too much from the series. On second viewing I found that whilst Miracle Day is in no way bad television, it's plain to see that Torchwood lost something in its move across the Atlantic. Style had replaced the substance of Children Of Earth, and although series 1 & 2 of the show are far from perfect, they are both packed with more excitement, charm and atmosphere than Miracle Day ever managed to muster. It seems that the dialogue from episode 3 describing the differences between Lemonade was not only cringe-worthy but, in retrospect, summed up Torchwood perfectly - "Fizzy in the UK, flat in the US."